Fabric Strength is an important functional property of any kind of fabric. Fabric strength is required in applications like Bag making – Industrial – and other applications. Fabric Strength loss can occur during chemical processing / garment washing / other processing. To avoid at Fabric Strength loss – need to check fabric strength at different stages of processing. All colors in Pantone Color Standards are selected based on market trends in various countries. Fabric Strength can be assessed in testing Laboratory to take corrective actions. 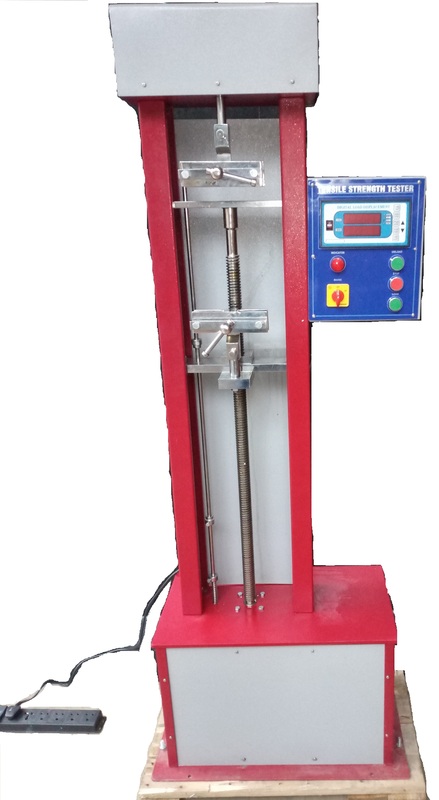 Fabric Tear Strength Tester is used to determine Elmendorf tearing strength (Ballastic strength) of textile fabrics and work factor of fabrics. Supplied with 2 extra calibrated weights to increase capacity of machine from 1600 gms to 3200 gms and to further 6400 gms. All components like jaw assembly, levers, pins, blocks etc are made of high quality ,mild - steel with chrome plating to ensure trouble free working of machine. However 1600 gms weight is done in brass. Accessories include template, allen key and extra cutting blade. 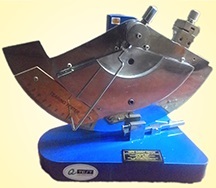 Tensile tester comes with load cell of 250 kg/500 kg and sensitivity of 100 grams. Machine is fitted with peak and zero facility and overloads protection facility. For single yarn testing capacity of 20 kg and sensitivity of 1gram is provided at extra cost. Jaw separation 25 -600 mm. Traverse speed –100 & 300 fixed. 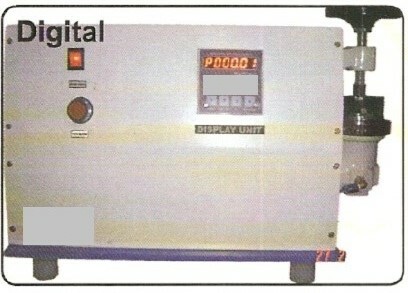 Digital display of load and elongation-works on CRT principle. Pneumatic pressure for loading samples. Optional : Computer connectivity & data transfer facilities available. Net Dimension for 500 Kg – fixed speed model : length×depth×height 28”×16”×67”. 35 kg/ cm2 – To find out bursting strength of knitted /woven/non-woven/cardboard / carton board even if it is laminated. Digital display of results with peak and hold options. Hydraulic load under rubber standard diaphragm and manual clamping method at a controlled increasing rate. (option also available for 70kg load cell *100gms sensitivity with pneumatic clamp ).